A significant new piece of research on mobile app development platforms was just released, giving guidance to organizations trying to get a handle on their approach to mobility. 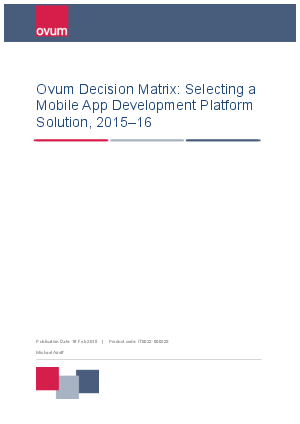 The Ovum Decision Matrix: Selecting a Mobile App Development Platform Solution highlights what companies should be looking for in a MADP solution. Given the amount of time, energy, money, anxiety, and attention that is being aimed at enterprise mobility right now, this report is quite timely.